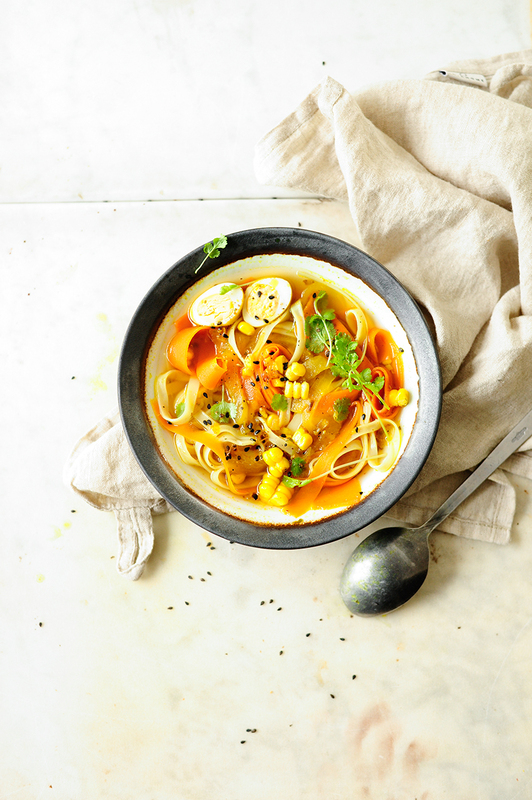 This healthy soup is packed with all kinds of vegetables, rice noodles and spices like garlic, ginger and of course with that crazy popular ingredient, turmeric. This soup is easy, excellent and so rich in flavor. Basically perfection in a bowl. Heat the oil in a pot over medium heat, sauté the onion and garlic. Add turmeric and ginger and simmer for 5 minutes, stirring occasionally. Add bell pepper, carrot and peas, stir and pour in the broth. Use a sharp knife to remove the corn from the cob and add to the broth. Add all the other spices. Bring to a boil, reduce the heat and simmer for 15 minutes. Add the noodles and cook for 5 minutes more. Serve immediately with a hard boiled egg and fresh cilantro. Enjoy! when you mention cutting paprika into strips, what kind of paprika are you using? was thinking of the ground spice and trying to cut that into strips (obviously impossible haha). haven’t seen it in california but it sounds so interesting whatever it is! 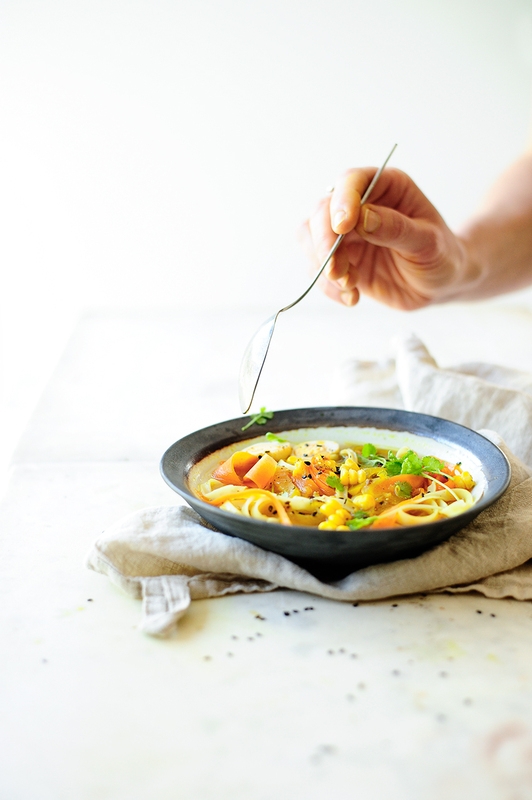 plus, this soup sounds so packed with veggies but still light and perfect for spring/summer.